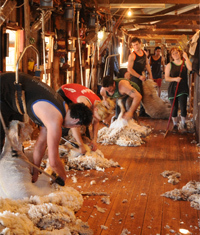 The Association promotes and encourages the breeding and improvement of pure Merino and Poll Merino sheep, while endeavoring to foster and encourage the involvement of youth into the industry. It actively supports research and development projects that enhance the future of the Merino breeders and the sheep industry in general. In conjunction with Rural Press, it publishes the SA Merino Annual that contains a directory of all registered studs in the state.